Those who have purchased Virgin Atlantic Guest List (which includes chauffeur service and priority baggage handling, as well as Virgin Atlantic Clubhouse access, but is quite expensive). 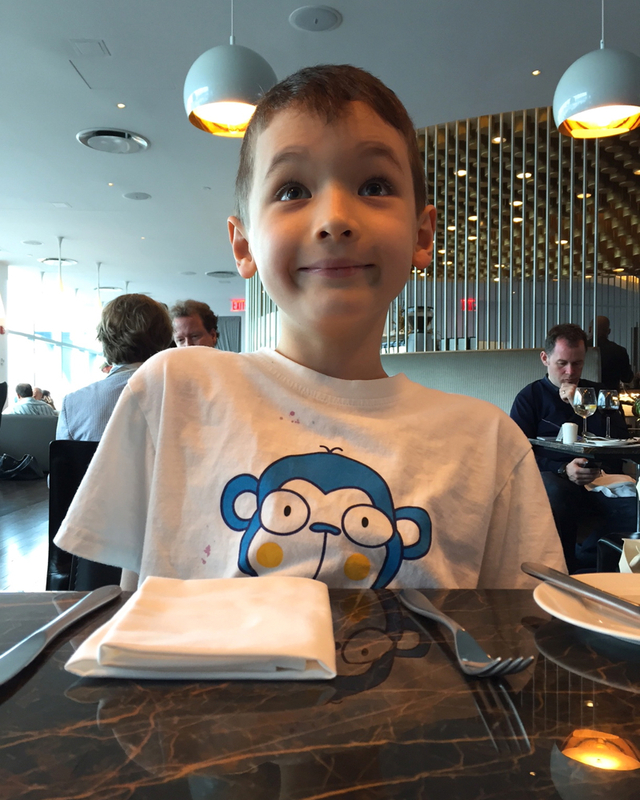 My son and I arrived at the Virgin Atlantic Lounge at JFK Airport with big appetites and high expectations for the beginning of our trip to Italy. 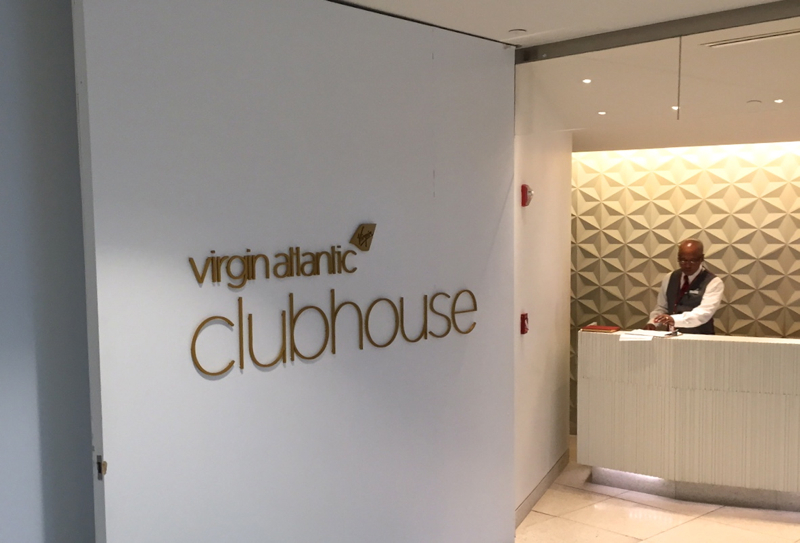 Our first stop was the Virgin Atlantic Lounge at JFK Airport where we spent two hours in stylish surroundings, enjoying the futuristic and peppy ambience of Virgin Atlantic. I liked that there was a wide variety of seating options, from a dining area and bar to the very comfortable low slung chairs next to the windows with a view of the tarmac and planes, to the red bubble couch. The best way I can describe the style of the lounge is if you think of Space Odyssey 2001, which was how people in the 1970s imagined the future would look. But unlike that lugubrious and confusing film, the Virgin Atlantic Lounge featured a non-stop soundtrack of peppy pop tunes. In light of the futuristic vibe, the fenced in pool table seemed like a relic from the past (although my son and I later shot some pool, as did some other guests in the lounge, and it was lots of fun). I don't know whether it was the design or the music, but most people in the lounge, including the staff there, were relatively friendly and seemed to be in a good mood. The one exception were the three men waiting in line for the showers. They had seemed to be waiting quite awhile, for when I expressed interest in the showers (there was no staff member near the showers to check in with), all three men glared at me and told me to get to the back of the line. So needless to say, I have no shower photos for this review. 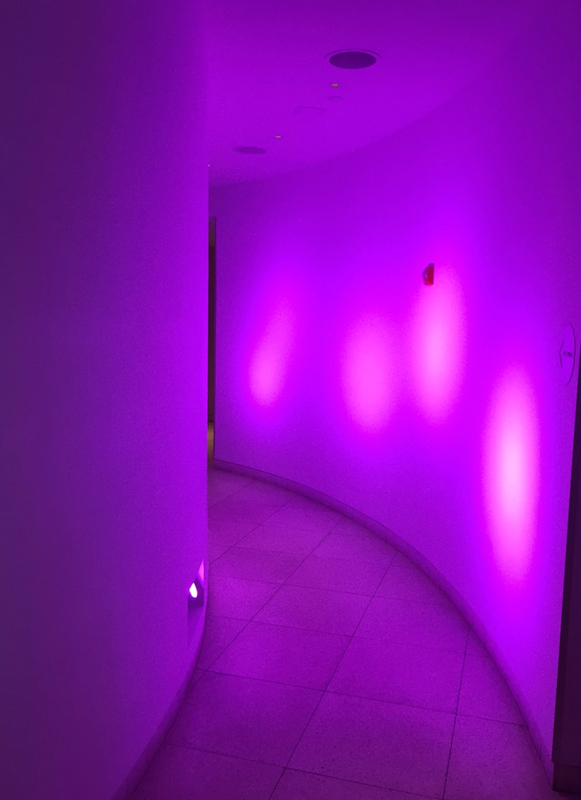 The only good part of the shower area was that it was at the end of a groovy corridor with mood lighting that varied from purple to blue to turquoise. Unlike some other business and first class lounges, Virgin Atlantic's Lounge does not offer complimentary spa treatments; only fee for service treatments. We arrived hungry and immediately sat down in the dining area, which featured table service. It was fairly busy, and the service was somewhat slow, although the servers were all very friendly. A server, after several minutes, brought us menus, including a wine list and kids' menu. 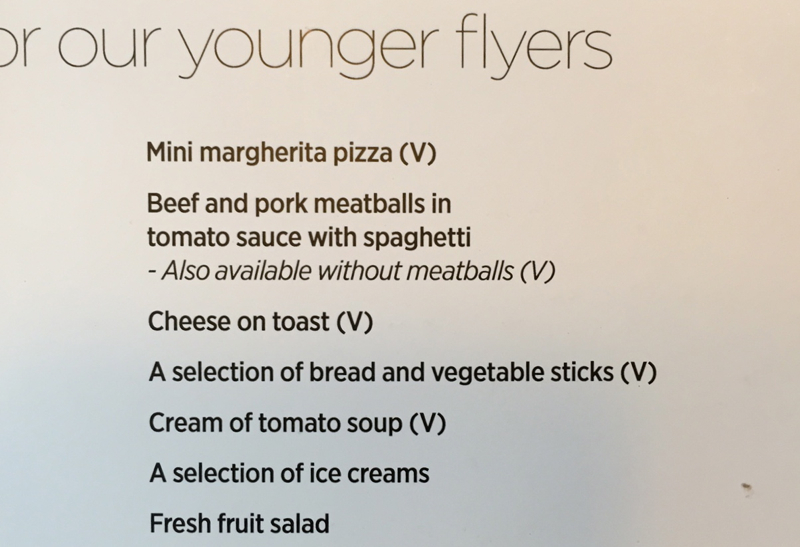 I placed several food orders, mainly for my son, because I planned on eating on my Singapore Suites flight, whereas I wanted my son to get to bed as soon as possible on the flight. 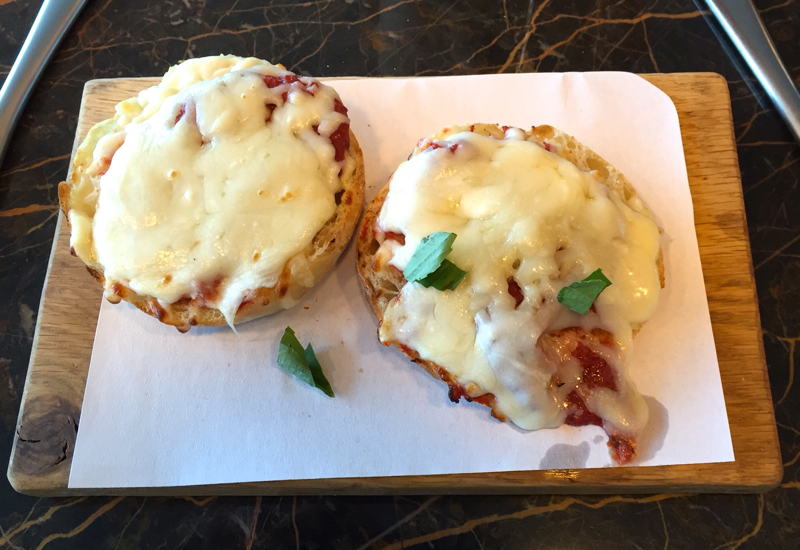 His kids' menu margherita pizzas came first, which he liked, but to me tasted like bland tomato sauce and too much cheese slathered on a cheap English muffin. 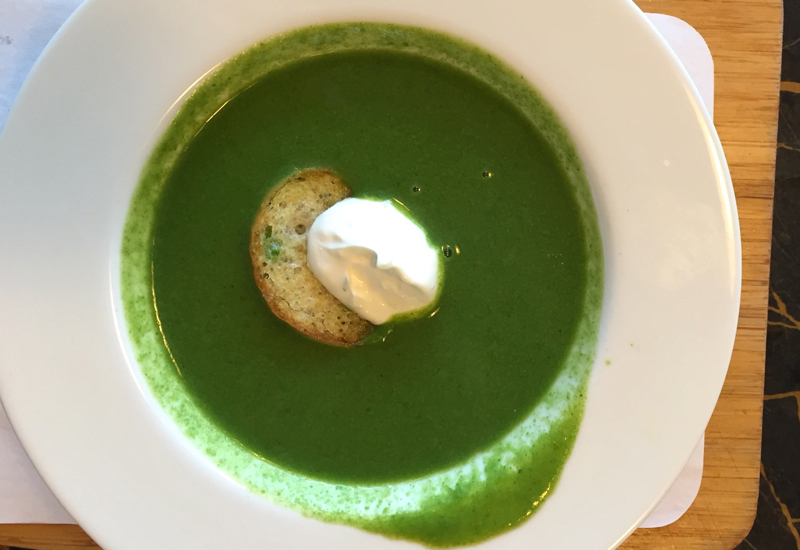 Next came out my mint pea soup with creme fraiche, which was really quite refreshing and delicious. 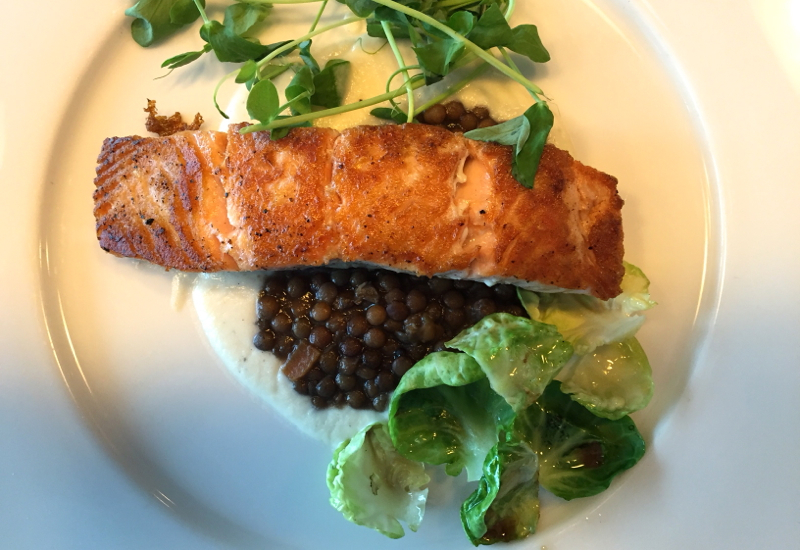 My son was then brought out some roasted salmon with celeriac puree and Puy lentils, which he and I both really loved and thought was wonderfully prepared. Because the food portions for all the items are very small, we kept ordering more and more food. 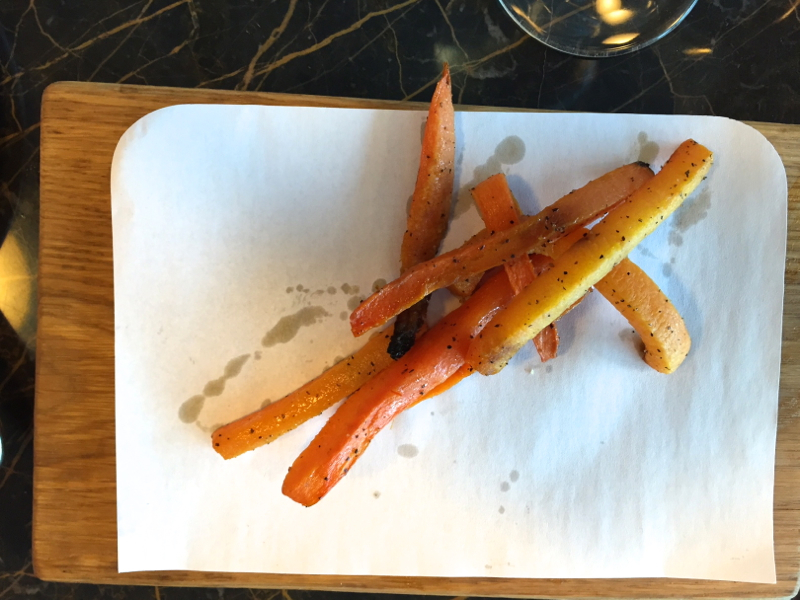 I decided to try something healthy, and had some spring carrots with cumin. They were decent, but nothing special. 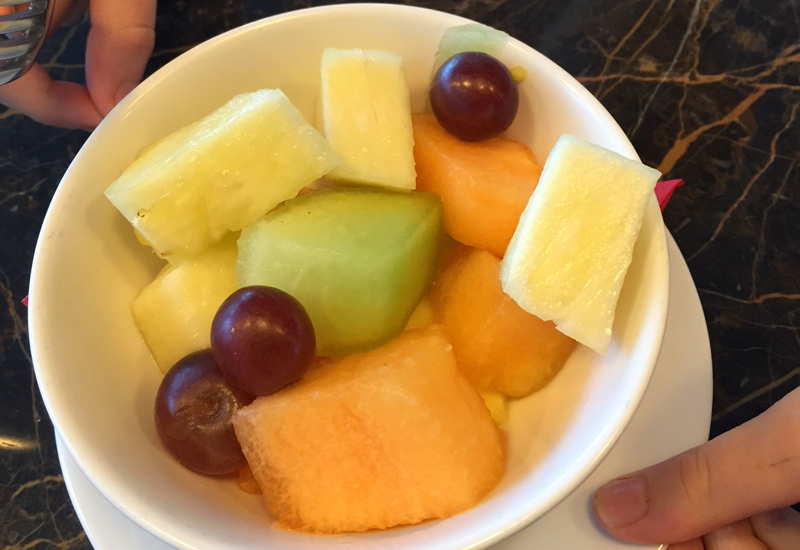 For dessert, my son had some fruit salad from the kids' menu, but because he hates melon, he needed more than the salad, which had a bunch of melon, so we ordered the Banoffee Pie. 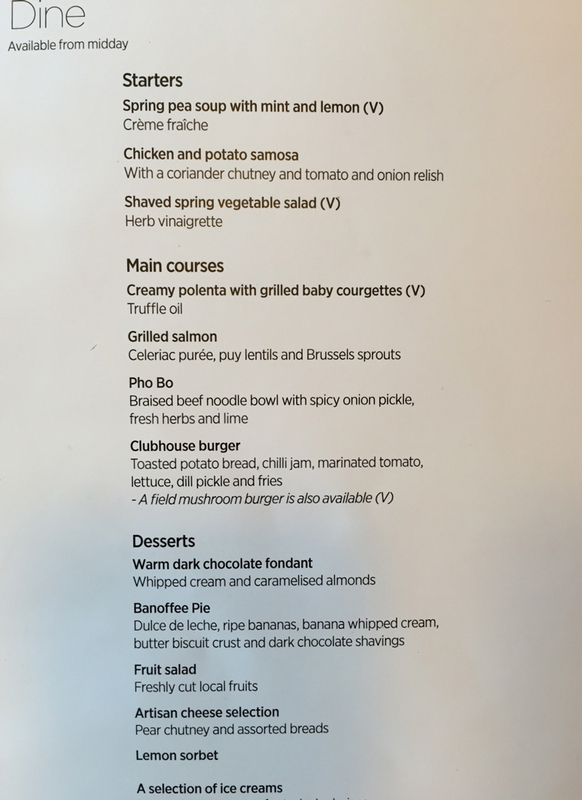 On this hit and miss menu, the pie was in the miss category, and just tasted like banana vanilla sludge. 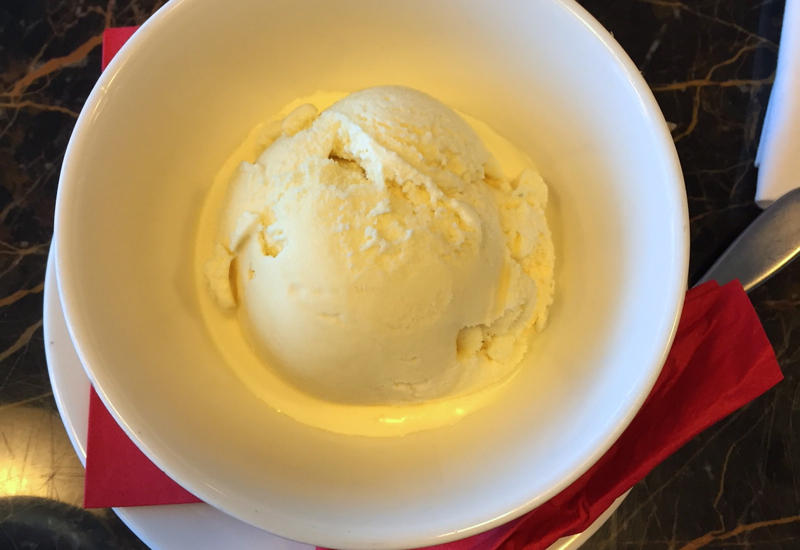 Last but not least, my son topped it all off with some simple but yummy vanilla ice cream. 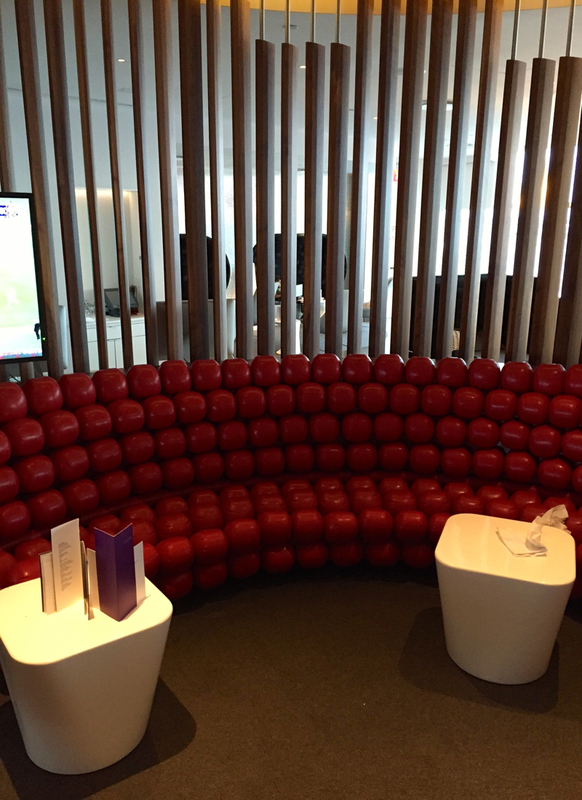 Virgin Atlantic New York JFK's friendly, faux-futuristic lounge was a perfectly pleasant way to start our journey. I probably would not have wanted to be there if I were tired or cranky or if I needed to make business calls (because of the sparkly interior and relentless pop music). The food was hit or miss, and I wouldn't rely on the lounge for a shower, given the long wait during my visit. 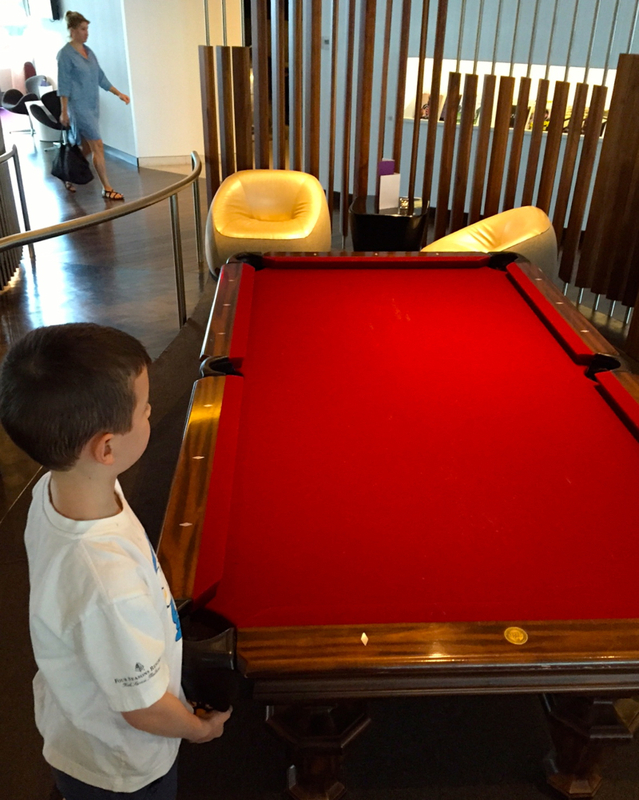 My son had a more positive view of the lounge, since he enjoyed the music more than I did. 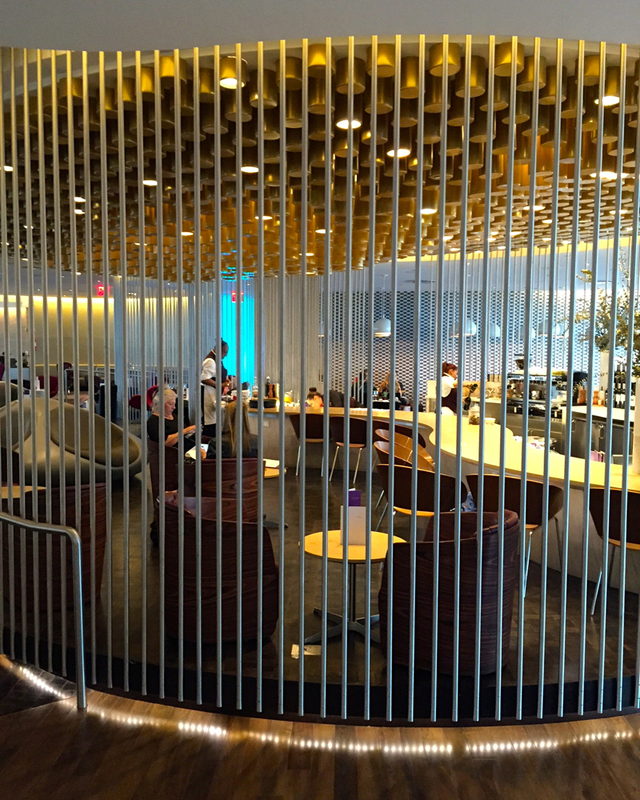 If you've visited the Virgin Atlantic Lounge at New York JFK Airport, what was your experience?